The lovely people at playmobil kindly sent my eldest some playmobil for her birthday. They could not have picked a better suited set. 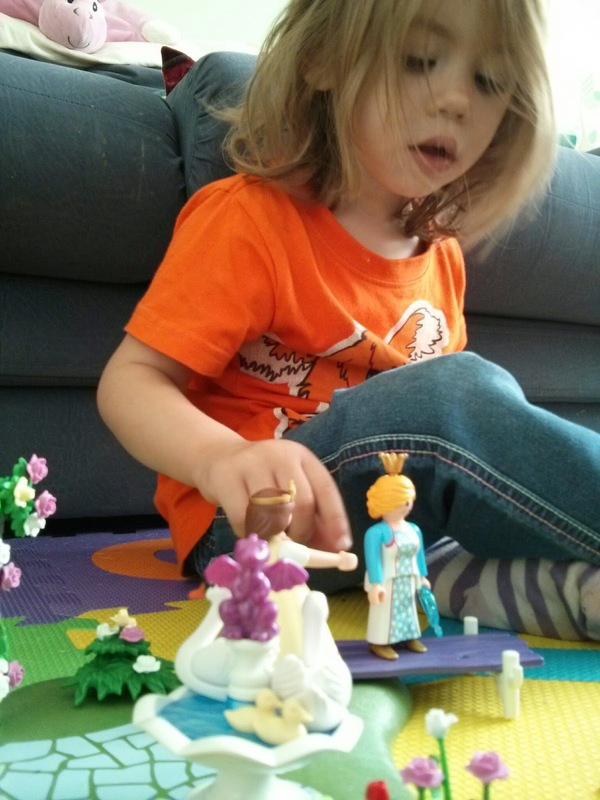 She received a fairy tale princess and gondola playmobil set. We love playmobil in our house, already owning a Noah's ark and all the animals. A farm set, which has tractor and lovely barn, and a zoo set. 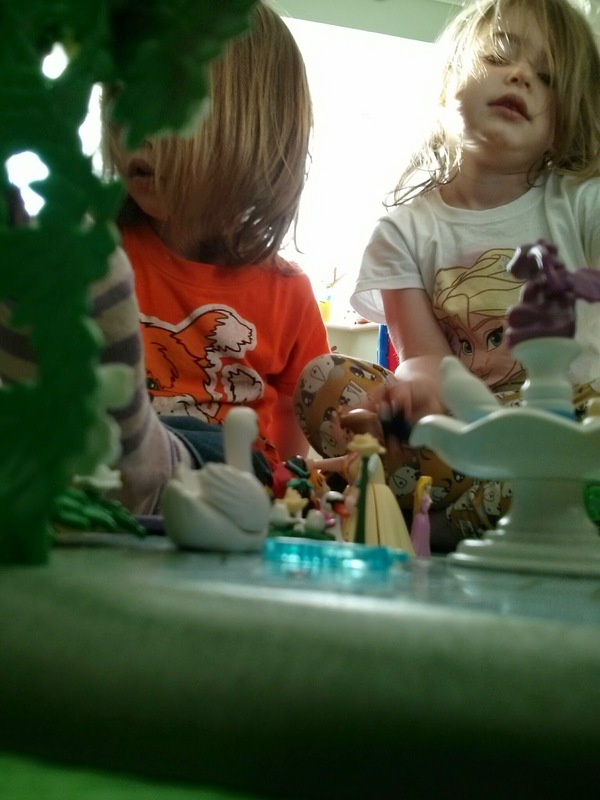 We use our playmobil for imaginative play and as my youngest grew up with the sets was a great way to get her imagination going with animals, as well as helping her to learn all the different animals. Our princess set is to celebrate 40 years of playmobil, and is a lovely addition to our collection. The princess set has two main pieces, the first is the gondola. 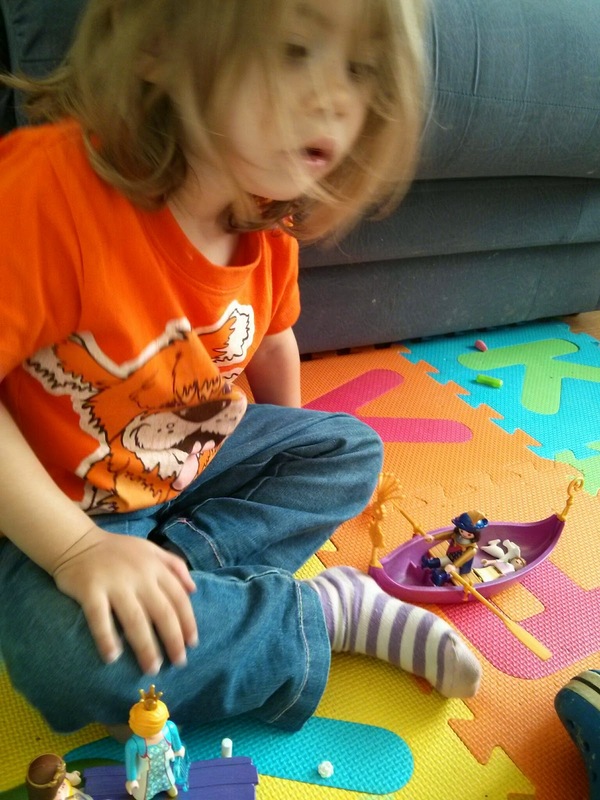 The girls love sailing the boat around and taking the princess on an adventure. We haven't yet tested if it floats but I don't think it will be long before it goes into the bath. The second piece is the island. This features plenty of flowers, birds, bird bath and some beautiful gardens. The girls imagination really comes to life here. The princess strolls around the garden, sometimes she picks some flowers to give to her friends and other times she plays with the birds. The great thing is the girls share and play really nicely together with it. 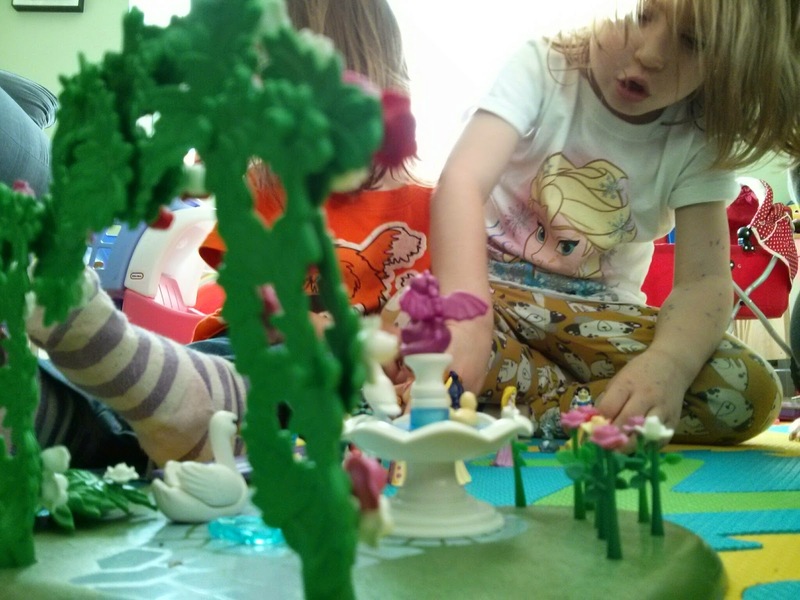 The playmobil princess set also provided a welcome calm down to her birthday party and it was great that all the family could get involved and play together. 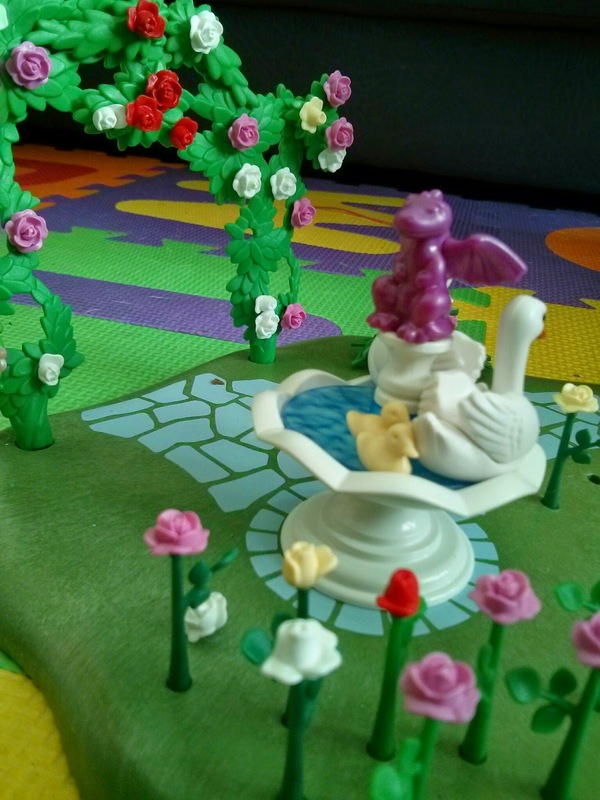 The princess and gondola set is a real hit with my girls and one I also enjoy playing with them with. Whilst we were sent a set for my daughters birthday, all words and opinions are my own.